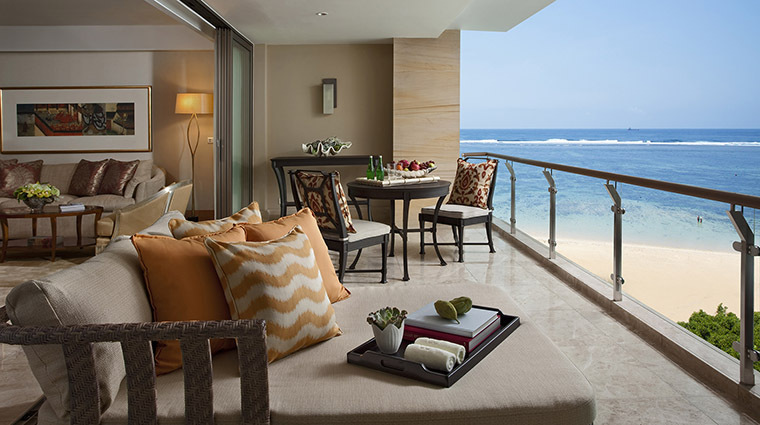 As far as memorable first impressions go, The Mulia – Nusa Dua, Bali dazzles. After going through the grand entrance and past the magnificent Eternity Chapel surrounded by reflecting pools, the dramatic view of hills blanketed with more than a hundred elegant villas looks like a secret desert oasis. The Mulia is the epitome of elegance and sophistication, as one would expect from a property whose name means “noble” in the Indonesian language. 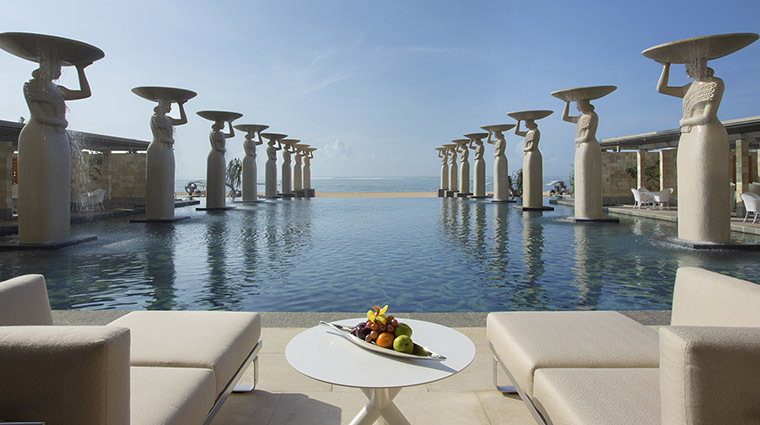 Located in the tropical haven of Bali and within 74 acres of land shared with sister properties Mulia Resort and Mulia Villas, the all-suite Mulia gives you access to four exquisite restaurants, five bars and six pools across the three resorts. Add to that the ultra-luxurious accommodations and 24-hour butler service, and don’t be surprised if you want to spend the majority of your stay in Bali within the confines of this beachfront escape. The quality of the cuisine prepared at the Bali resort’s restaurants is well known throughout the island, and locals regularly snap up reservations, particularly at Soleil’s Sunday brunch. 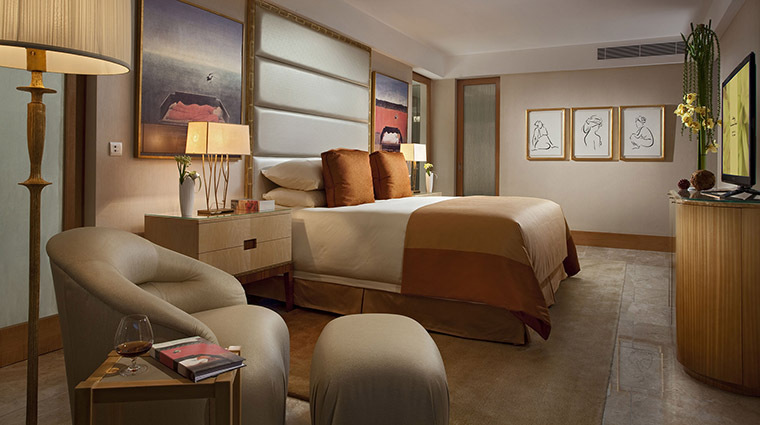 Take advantage of the Wellness Suite at the Mulia Spa. It’s equipped with a Finnish sauna, an aroma steam room, a chromatherapy system of gentle light therapy, and Asia Pacific’s first ice room with a crystal ice fountain. 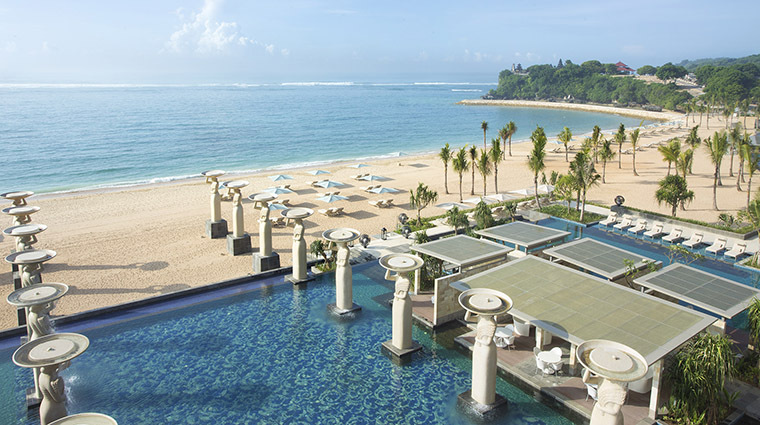 Nusa Dua is known as the area for luxury accommodations in Bali, and there could not be a better address for The Mulia. Geger Temple is just a stone’s throw away, and a bit further out, perched on the southern cliffs, is the majestic Uluwatu Temple. You will feel like royalty in one of the Bali resort’s suites, the majority of which faces the shimmering Indian Ocean, while the remainder looks out over splendid gardens. The Oasis beachfront pool is one of the most picturesque spots on the island, perfect for swimming laps or just lounging in a luxurious cabana. Venturing outside of Nusa Dua is as easy as hiring a taxi or private car and making use of the newly built Mandara toll road that stretches over the Gulf of Benoa and cuts down on travel time significantly. While you may be tempted to lounge on the beach all day, The Mulia offers an array of water sports to suit any experience level, from canoeing to stand up paddle boarding. 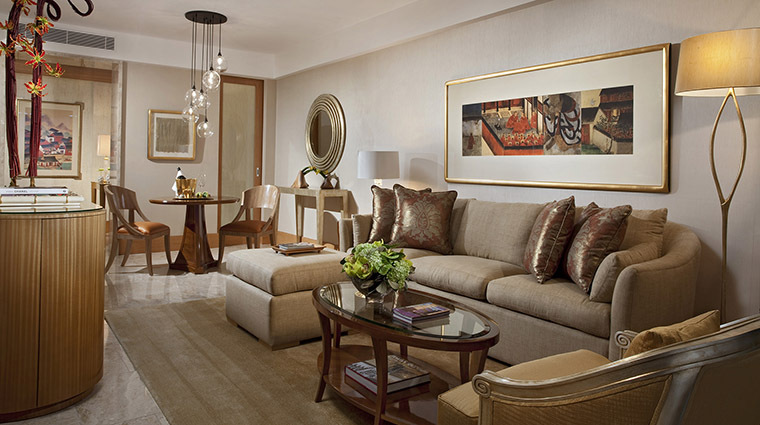 The Mulia’s 111 suites come in three categories, Baron, Earl and Marquess. All are exquisite in their own right, featuring interiors accented with gold, plush beds with up to 1,000-thread-count bedding, Oriental art on the walls and a glass sliding door that opens up to a spacious patio with numerous cozy nooks and a Jacuzzi. Two-bedroom suites come with all of the above, plus a luxurious living room and a dining area. As for the bathrooms, expect marble double sink vanities, high-tech toilets and top-notch amenities. The Cafe offers a lavish buffet of international dishes with live cooking stations and a separate area for desserts. Asian cuisine enthusiasts have the option of Cantonese and Szechuan fare at Table8 or Japanese delicacies at Edogin, both served in simply elegant surroundings. Soleil focuses on a Mediterranean and pan-Asian menu featuring handmade pasta, top-notch meats and seafood, and more. Not too hungry? 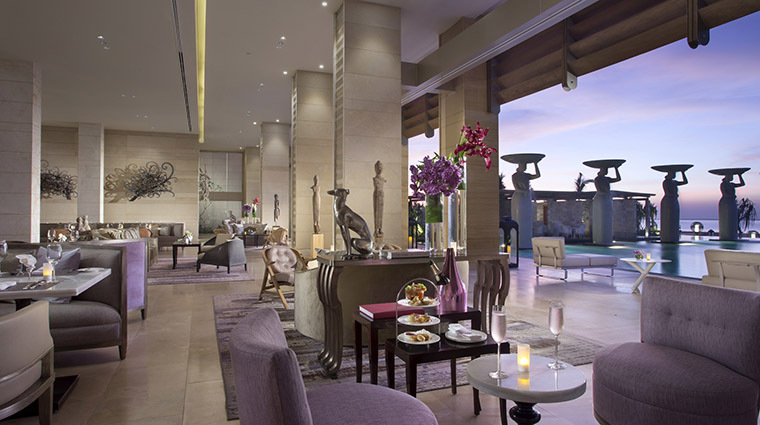 Sip on stylish cocktails and socialize at one of five bars — try afternoon drinks overlooking the Indian Ocean at Sky Bar or head to the handsome ZJ’s Bar & Lounge for live music and a nightclub atmosphere.